For National Farmers’ Market Week, we took a look at the important ways these public institutions have changed in recent years. It’s five minutes before three on a warm July Wednesday in East Boston, a mostly working-class, immigrant neighborhood that abuts Logan International Airport. With Boston’s skyline and harbor as a backdrop, vendors busily lay out their wares on folding tables—from Swiss chard to Swiss cheese. Lines form at a few of the booths, some of those waiting are holding WIC coupons, and neighborly greetings can be heard in English, Spanish, and Arabic. Nearby, volunteers from a local cyclists’ union are already fixing flat tires and tightening bicycle seats. A youth arts organization advertises its free programs for children; families renew their “food stamps” or Supplemental Nutrition Assistance Program (SNAP) benefits; and a DJ spins bass-heavy Latin music while four young women invite onlookers to join them in a choreographed dance routine. Each Wednesday afternoon during the summer, the East Boston Farmers’ Market turns a sleepy pedestrian mall into a buzzing festival of fresh food, uniting the neighborhood’s six-figure earners, hourly workers, and everyone in between. “I love seeing neighbors getting to know each other and cross paths each week,” says Katie Tong, one of the market’s managers. 1. Most Markets Are Thriving, But They’re No Longer the Primary Way to Sell Local Food. 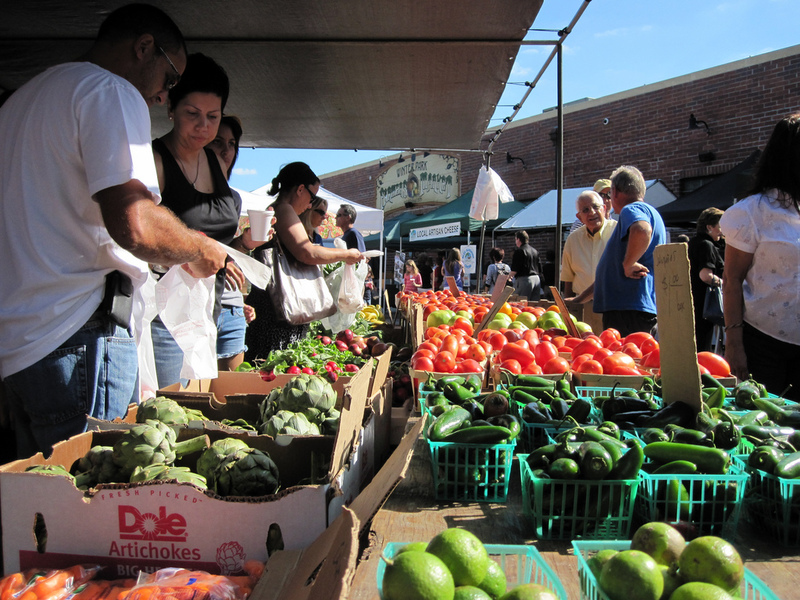 Nationally, the number of farmers’ markets has exploded in just a few decades. By 2014, there were 8,168 markets across the United States—a 180 percent jump from 2006. Last year, the Agricultural Marketing Service of the United States Department of Agriculture (USDA) surveyed 1,400 farmers’ market managers and found that among markets open in both the 2012 and 2013 seasons, 64 percent of managers reported increased customer traffic and 63 percent reported a bump in sales year over year. 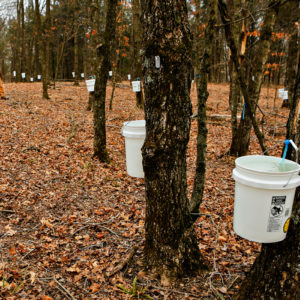 USDA officials say this reveals the staying nature power of a market tradition that is both old and new at the same time. By the USDA’s own reporting, market sales, however, appear to have plateaued some in the last few years. The agency found that between 2007 and 2012, the value of direct-to-consumer food sales at farmers’ markets dropped by one percent, following a 36 percent increase in the five-year period prior. USDA officials say that rather than reflecting diminishing demand for local food, the stagnation of farmers’ market sales reflects the diversification of methods farmers are using to sell their food. “As the farmers’ market sector matures, more farmers are using new and different models like food hubs to sell to restaurants, grocery stores, institutions, and schools,” says Anne L. Alonzo, Agricultural Marketing Service Administrator with the USDA. Mobile markets, community supported agriculture (CSA) subscriptions, and delivery services are extending the farmers’ market by taking fresh food right to customers’ doorsteps. Even permanent brick-and-mortar shops and markets—like the Woodstock Farmers Market in Vermont—allow producers to sell their wares together, lowering costs while increasing convenience. 2. More Markets Are Using Technology. In a few key ways, technology is bringing an 18th century concept into the 21st century, improving both how farmers’ markets themselves and the shopping experience at the market. Technology is also improving the customer experience at the market. More than 8,000 farmers’ markets take credit cards in some form, whether that means customers can pay farmers with a card directly, or use it in a central location and receive tokens or vouchers for market vendors. Meanwhile, over 1,700 markets around the country now accept shoppers’ SNAP benefit electronically through mobile Electronic Benefits Transfer (EBT) card swipe machines. 3. Farmers’ Markets Are Becoming More Accessible. Markets have always existed to improve access to fresh, local food in areas where there is less of it. The difference today, though, is the more concerted effort to make that food accessible to all Americans, regardless of income. In 2008, 753 farmers, roadside farm stands, and farmers’ markets accepted SNAP benefits. Today, that number exceeds 6,400, according to numbers tallied by the USDA—an eight-fold increase. Several national nonprofits and the federal government have been working hard to bring about the change. Wholesome Wave, which piloted the first program providing low-income shoppers suffering from diet-related disease with a prescription for fresh vegetables, also provides incentives to shoppers who use their SNAP benefit at the farmers’ market. At 12 markets in the Washington DC area, shoppers spending their SNAP benefit at a market have that dollar amount matched by FRESHFARM Markets. And on the opposite coast, Fresh Approach matches the market spending of California low-income shoppers up to $10, the Fresh Bucks program does the same at the Seattle Neigbohorhood Farmers’ Markets, and Fresh Exchange matches up to $5 at the Portland Farmers’ markets. According to Fresh Approach, last year nearly half of all transactions made with nutrition benefit were matched through the program, helping 3,616 customers increase their buying power by more than $24,000. The USDA wants to see even more of this nationally, so much so that it distributes grants of up to $500,000 to projects that increase participation among low-income shoppers. “It is plausible that increased exposure to farmers’ markets among low-income populations will increase their purchases and consumption of fruits and vegetables, and that financial incentives will augment this effect,” a USDA report on nutrition assistance programs at farmers’ markets stated last fall. Some markets are also outpacing large supermarket chains by providing culturally appropriate foods to ethnic populations that demand them. In East Boston, for example, lines in front of Farmer Dave’s and Asia Farm’s tables form before the market opens, with many of the shoppers eager to get their hands on chipilín and hierba mora, green vegetables popular among the neighborhood’s Salvadoran immigrants (but unavailable at many bodegas or even the neighborhood supermarket). At farmers’ markets in the Minneapolis-St. Paul, Minnesota area area, Hmong farmers bring foods like long beans, bitter melon, and amaranth greens to new audiences. 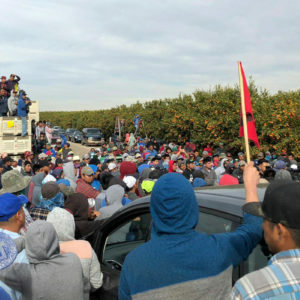 And a combination farm and farmers’ market set up by the International Rescue Committee in San Diego, California also caters to the area’s large immigrant and refugee populations, many growing crops native to their homelands. 4. More Farmers’ Markets Are Offering Education to Go with Their Produce. Here’s a scene that has likely played out for millennia: A shopper picks up a strange-looking fruit or vegetable and asks the farmer on the other side of the table how to cook it. As long as farmers’ markets exist, this type of education will take place. But markets everywhere are working harder than ever to ensure visitors leave knowing a bit more about the food they eat. For instance, at the East Boston market’s annual “Seafood Throwdown,” two Boston chefs are given a cut of fish and a box of produce, from which they are asked to create a dish in 30 minutes or less—teaching onlookers how to turn their market finds into quick, nutritious meals. The farmers’ market in Lansing, Michigan, recently added cooking demonstrations focused on food safety at each of its markets, and shoppers go home with recipe cards and food safety tips. Markets in many cities—such as Atlanta, Austin, and San Francisco—provide a trove of information beyond recipes for eaters on their farmers’ market website—from seasonality charts and calendars, to information about farmers’ growing practices, to food storage tips. 5. Now More Than Ever, Farmers’ Markets Help Build Community. One of the best arguments for farmers’ markets (as opposed to online distribution or alternative local food retailers), is that they connect neighbors to producers and each other in a unique way. Live music has become a staple at many markets, as have partnerships with area nonprofits. At the NorthEast Market in Minneapolis, nonprofits ranging from Meals on Wheels to a childbirth collective set up information tables. 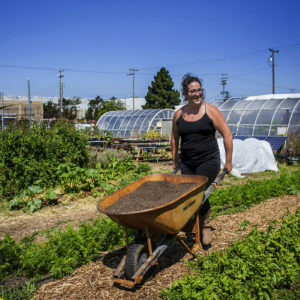 The Motor Avenue Farmers’ Market in Los Angeles collaborates with local schools and community spaces to plant urban gardens and educate neighbors in sustainable agriculture. And several more markets, from New York to Denver to San Francisco, have specific stands that cater to or are run by area youth. Back at the East Boston farmers’ market, an 18-month-old little girl sways her hips with a group of dancers as a farmer tells an attentive customer the story of the cheese he sells, and Alonzo’s town square hypothesis rings true. Farmers’ markets can have a profound effect at a time when communal public spaces are becoming increasingly rare. The farmers’ market may be modernizing and evolving, but they probably won’t be going anywhere any time soon. Talk about the use of smart technology! The Linden Hills Farmers Market and the Mill City Farmers Market - both in Minneapolis - actually sell online to chefs and market customers 7 days a week. This is a great way for farmers and food producers to diversify their customers, and for chefs to get the produce they want - in the exact quantities they want. For more info check out http://on.fb.me/1JOZIUM. Dear Steve, love the post and like the positive lean in the message. But some things were left out. The research done by Larry Lev and his team @ Oregon State point to some different results. You should have a look http://bit.ly/1SZxLzw "I'm getting desparate': What we know about farmers' markets that fail"
Excellent article on farmers' markets. We at Pacific Coast Farmers' Market Association strive to bring locally grown produce, bakery items, honey, flowers, and other locally produced products to consumers. We also try to train our farmers to take advantage of new social media outlets and other direct marketing venues. And thank you for mentioning our sister organization, Fresh Approach. We pride ourselves in making fresh fruits and vegetables accessible to all. Please continue writing these informative articles!